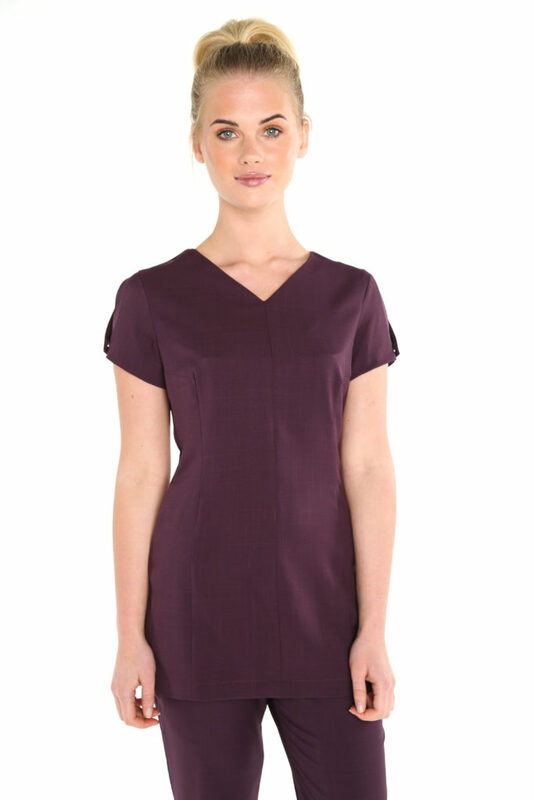 This tunic ticks the boxes for both fashion and practicality. 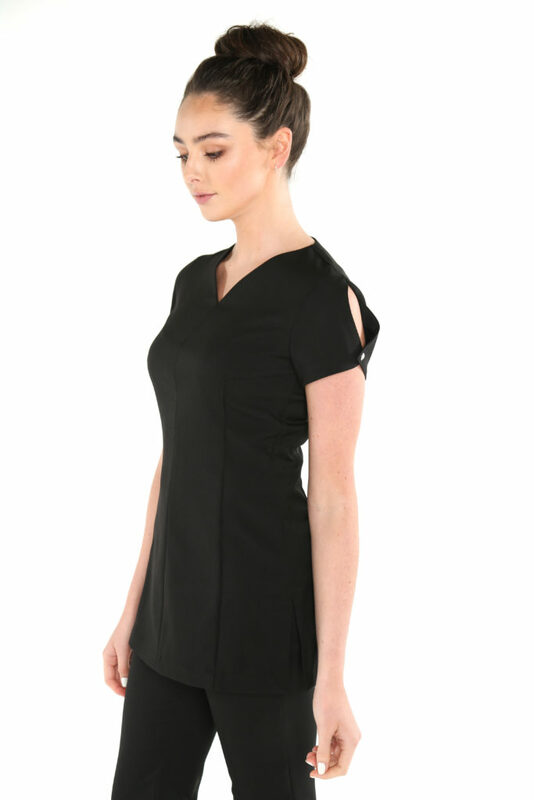 Work the cold shoulder trend or give yourself more room to move by wearing the sleeve open, whichever you choose you can work comfortably and still work glamorous. 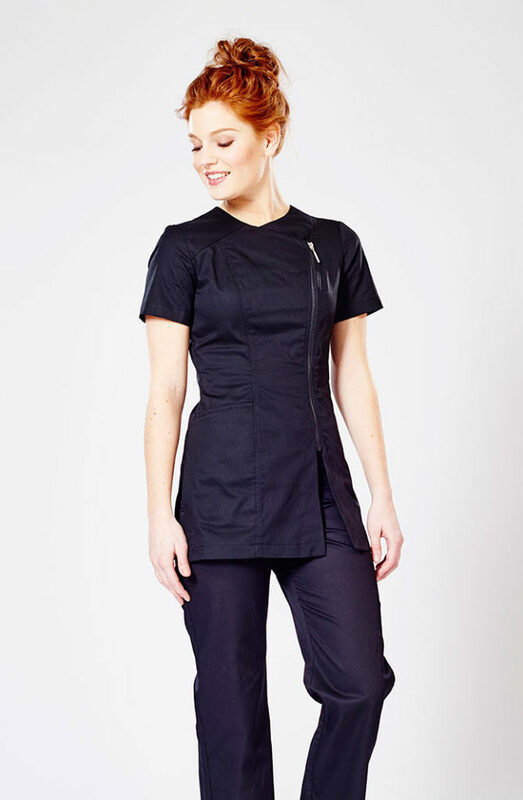 We design our tunics to fit all shapes and sizes, giving you the confidence to experiment with high street trends in your next uniform. Rock the latest looks with confidence!